HANNABERY HVAC IS A DIAMOND ELITE CONTRACTOR! Zoned Comfort Solutions provide year-round comfort and are up to 40% more efficient than traditional systems. Great for a single room or the entire house! It’s never been easier to keep everyone in your house comfortable, without spending a fortune on your energy bills. 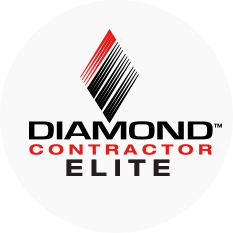 What does being a Diamond Elite Contractor mean? It means we achieved the highest level of performance in Sales, Training, Service after the Sale, and Customer Satisfaction! When you work with a Mitsubishi Electric Diamond Elite Contractor, you can count on the highest levels of professionalism in the HVAC industry and unsurpassed technical expertise. Our installation, repair and maintenance specialists receive extensive training and ongoing instruction at a Mitsubishi Electric- approved training center. Education takes place at every level of service from new product sales to follow-up customer care. Best of all, you will receive a 12 year limited warranty on compressor and 12 years on parts. This is an exclusive benefit that only your Diamond Elite Contractor can offer. 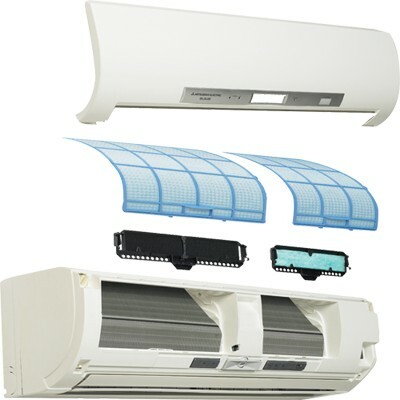 Ductless mini-splits are the ideal air conditioning and heating solution for installations where adding ductwork is impractical or too expensive. The matched combination of an indoor air handler and outdoor condenser is extremely efficient and reliable. The indoor units can be mounted on almost any wall. You can even install multiple zone indoor units with just one compact, outdoor unit! Ductless air conditioners and heat pumps offer a higher efficiency than traditional systems, with some models up to 26 SEER. And they do this with less noise, and no costly ductwork! The units are operated by LCD wireless remote controls and are packed with convenience and comfort features. Mitsubishi Electric is a world leader in ductless cooling and heating technology for both residential and commercial installations - and is the # 1 Ductless Brand in the United States. With Mitsubishi Electric, you can be sure that you're getting the latest, most efficient technology, including the most advanced, INVERTER-driven heat pump systems in the world. 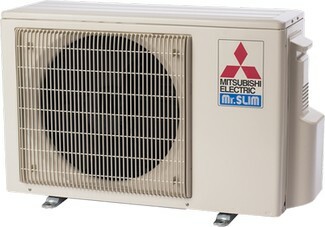 Mitsubishi Ductless Mini-Splits are up to 40% more efficient than conventional, ducted HVAC systems! 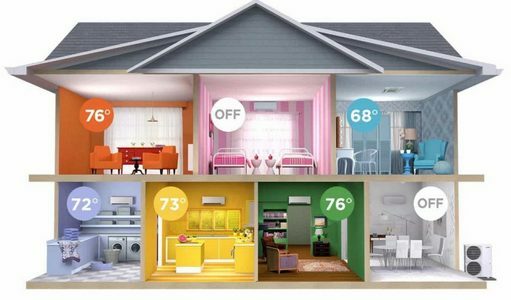 If a room is too hot or too cold, Mitsubishi Electric Cooling & Heating products can handle it! 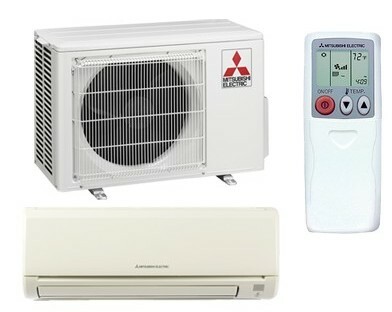 Mitsubishi systems are specifically designed to improve the comfort level in an uncomfortably hot or cold room of an existing building. Because they don’t require ductwork, they’re the perfect heating and cooling systems for renovating older buildings that were constructed before air conditioning was available – even those with plaster walls and brick facades. The versatility and variety of applications for Mitsubishi Electric systems are virtually unlimited. They’re an excellent choice for almost any situation, including enclosed sunrooms, upstairs bedrooms, classrooms, hospitals, nursing homes, restaurants, hotels, workout rooms, computer rooms, offices and churches. They’re also equipped with anti-allergen filters, including optional dual and triple-allergen filtration, and preventing the cross-flow of air with contaminants. And because they can be controlled by zoning, it’s easy to set the controls for the exact room temperature you want. Indoor cover is easily removed to clean the air filters. Shown with enhanced filtration. Perfect for old homes with no existing ductwork. Great for garages, bonus rooms, sunrooms, and additions. Best solution for hard to cool second story bedrooms. Whisper quiet... With sounds levels ranging from 19-35db, you’ll barely know it's running. Room-by-room temperature control... You won’t waste energy by cooling an unoccupied room. Variable speed INVERTER-driven compressors adjust capacity to match demand. When the system is running at low speed, humidity and comfort are optimized, and efficiency can reach nearly 40 SEER! Fast Installation... Installs quickly and easily, having no need for major construction and remodeling. Easy Maintainance... With easily accessible, washable filters and no ductwork to keep clean. Environmentally Friendly Refrigerant... Uses R410A, an environmentally friendly refrigerant. Whether renovating your home or building a new one, you can end the struggle of cost vs. comfort and use only the exact amount of energy needed to maintain comfort. With a wide range of ENERGY STAR® qualified, whisper-quiet indoor systems delivering allergen filtration that actually cleans the air, Mitsubishi Electric systems are the right choice for your home comfort needs. As a licensed air conditioning and heating contractor, Hannabery HVAC provides high quality, professional ductless mini-split installations, ductless mini-split replacements, ductless mini-split repairs, ductless mini-split maintenance, and related services for the greater Lehigh Valley; including Allentown, Bethlehem, Easton, and all of Eastern Pennsylvania. Have your Ductless System professionally installed today!